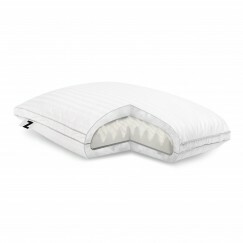 Malouf Z Dunlop Latex Pillow. Responsive latex improves sleep comfort by offering soft support that conforms to curves to relieve pressure points. Latex offers support that doesn’t bottom out and recovers immediately. 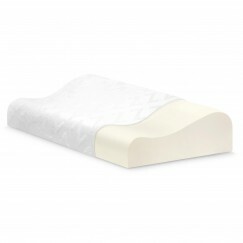 This latex pillow features hundreds of small ventilation holes to improve airflow and breathability. An ultra-soft rayon from bamboo cover can be removed and laundered.